A commemorate paving slab will be unveiled in Watford for First World War hero Major General George Pearkes. Major General Pearkes was born in 1888, where he lived over the draper’s shop run by his family in Watford town centre. After emigrating to Canada, where he joined the Royal Mounted Police, as a private in the Canadian Mounted Rifles in 1915. He came to Europe to fight in the First World War and by 1917 he was leading a Canadian unit in the Battle of Passchendaele. He won plaudits for his conspicuous bravery and skilful handling of the troops under his command, despite having been wounded. It was here that he was awarded the Victoria Cross, Britain’s highest service award for gallantry, for leading attacks on the German lines on 30-31 October. 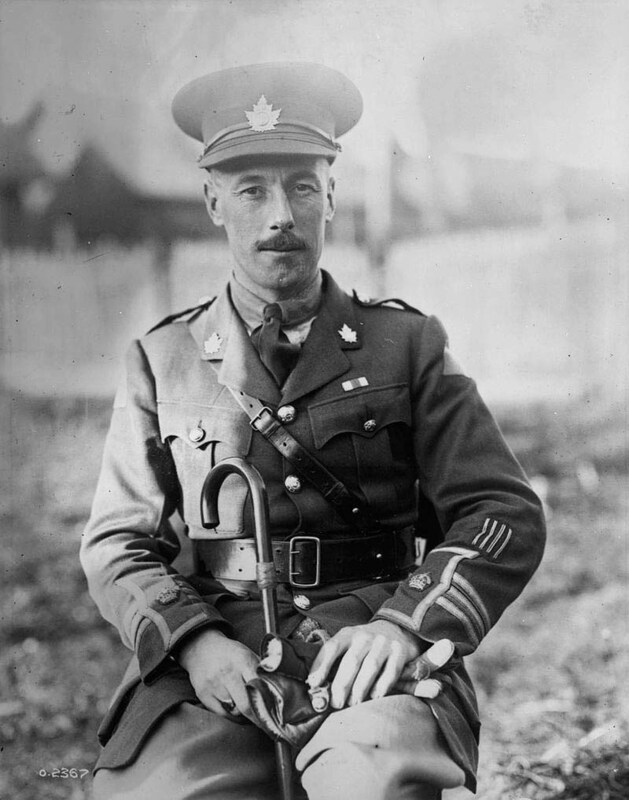 Major General Pearkes returned after the war to Canada where he continued his military career. And with the outbreak of the Second World War, he returned to Europe as a Brigadier in command of a Canadian Infantry Brigade until 1942. Upon returning to Canada, he was made responsible for Canada’s west coast defences. 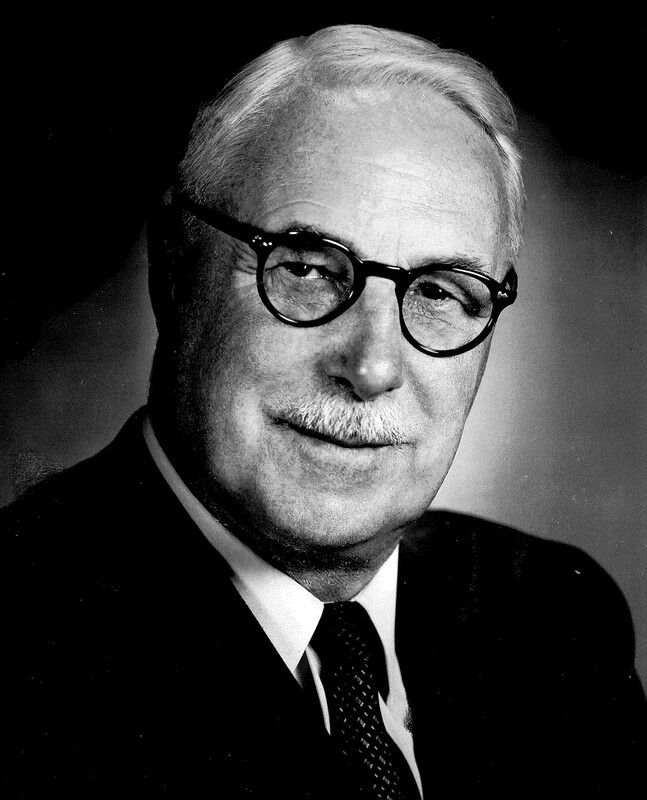 In 1945 he retired from the army and went into federal politics to serve the Canadian federal parliament from 1945 to 1960, representing constituencies in British Colombia. In 1958, as Minister of National Defence in the federal government, he visited Watford and a civic lunch at the Town Hall was held in his honour. He presented to the town a soapstone carving of an Inuit and a polar bear which now takes pride of place in Watford Museum. In 1960 Major General Pearkes was made Lieutenant-Governor of British Columbia, a position which he held until 1968. He died in 1984, aged 96, in Victoria, British Colombia, and was buried there with full military honours. The slab is one of many funded by the Department for Culture and Local Government to commemorate all soldiers who received a Victoria Cross during the First World War. Elected Mayor of Watford Dorothy Thornhill and Rabi Martins, Vice Chairman of Watford Borough Council, will unveil the paving slab outside Major General Pearkes’ birthplace at 127 High Street at 2pm Monday.